Monetize Adult Mobile Traffic with First Mobile Cash! : World Cup Conversions in Germany! World Cup Conversions in Germany! And now August got even hotter with our HOT DEAL! Germany Is Where It's At! Germany has long been one of our top performing markets and we are proud to be offering EXCLUSIVE monetization solutions guaranteeing world-class performance for all types of German mobile traffic. 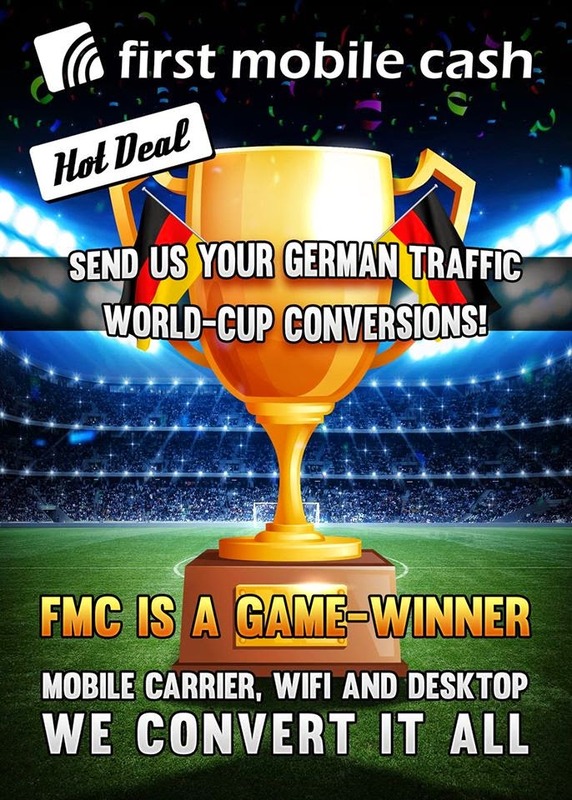 Set up your campaigns today and rock Germany with First Mobile Cash!